With the latest update 1.6 for The Division, the named weapons are now called Exotics. They have been given their own unique exotic talents that take up the third weapon talent slot, and hence they are always active. The other two talents are randomly rolled and have to be unlocked with Firearms, Stamina or Electronics. - Some weapons work as a weapon set, the talents of which are activated only when both weapons are equipped. 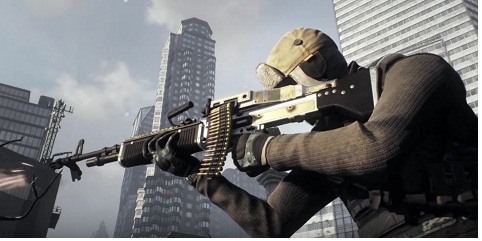 - Bullfrog: This is the former FAMAS, which has now become an Exotic. The talent is uncomplicated: the weapon damage is increased by 15%. However, Accuracy and Stability Mods reduce this bonus. With 1.6, the base damage of Bullfrog was increased by 11.7%. - Tommy Gun (Carefree): Hip fire damage is increased by 11%. - Hungry Hog (Glutton Talent): Killing a target boosts the damage by 10% until the bombardment is stopped. Stackable up to 5 times. - Tenebrae (Lights Out Talent): Destroying a weakness on an opponent restores the cooldown of the skills for you and your group members. The talent has a 10 second cooldown. Weak points are, for example: the flammable canisters on the back of the cleanser. - Pakhan: Each kill will cause 20% more bullets in the magazine on the next reload. - Cassidy (Double Barrel Shotgun): This shoots both barrels in short sequence. - Urban MDR: The damage is increased by 18% against targets that are affected by status effects. In addition, the weapon experienced an increase of 65% in basic damage. - Warlord: The damage taken is reduced by 20% when shooting. The damage is added when the bombardment is stopped. - Thompson M1928 (Tommy Gun): Hip fire damage is increased by 11%. - Damascus (Quickdraw): When the weapon is pulled, weapon damage is increased by 20% for 2 seconds. Subsequently, the weapon damage is reduced by 20%. - Goldene Rhino: Increases stagger by 200%. - Historian (History repeats): Each bullet embers itself in the target and detonates 2 seconds later. The explosion targets 700% of the Firearms. - Caduceus: Each critical hit heals you and your group by 1% of the user's skill level. This talent has a cooldown of 0.2 seconds. A player can only be cured by a caduceus at the same time. - Midas: Each bullet you hit reduces your damage by 1% and your opponent's damage by 1% up to a maximum of 20%. The effect is reduced by 5% every second. - Showstopper: The accuracy of this weapon increases, and the crosshairs become smaller. With 1.6 the base damage was increased by 11%. - Defiler Sawed-off Shotgun: Is also exotic, but only comes with a talent that is not unique. Determined: Eliminating a target reduces the skill's cooldown time by 7.5%. - Liberator and Centurion (Free Republic): Each shot with the Liberator granted 5% head damage with the Centurion. The maximum is 200%. Kills with the Centurion will give 10% more fire rate for all weapons for 10 seconds. - Hildr and Eir (Valkyria): Each hit with Hildr increases critical hit damage by 1% up to a maximum of 30%. The bonus decreases by 1% every second. This bonus only works for Eir. It does not work with Hildr.